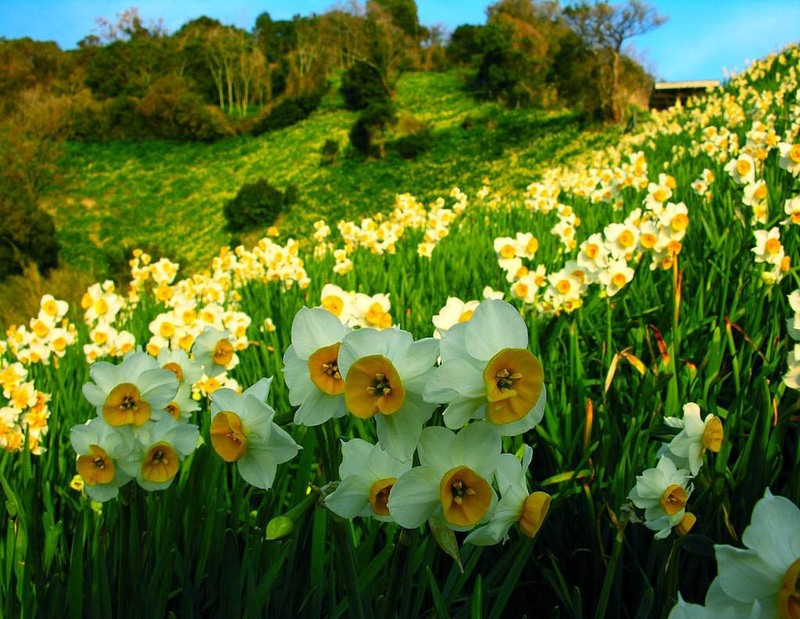 Village of Kireshi, Khust district, is a home for miraculous daffodil plantation area of about 250 hectares. Scientists claim that it emerged immediately after the Ice Age due to the large amount of water coming down from the mountains. Human activities affected this area. At some point in Soviet history, the valley even was decided to be dug for growing crops. But, fortunately, they stopped in time and donated it the Carpathian Biosphere Reserve. Now Daffodil Valley impresses thousands of visitors by rare plants listed in the Red Book. The best time to visit it is mid-May when the plants are in full bloom. There is also the Daffodils Museum in Khust for the most curious visitors. So is called the largest national park in the Western Himalayas, officially recognized in 1982. It comprises nearly 9000 hectares of land in the mountains surrounded by picturesque forests and vibrant waterfalls. Locals believe that the valley is inhabited by real fairies. Though about fairies there may be some doubts, the area surely features rare species of plants and animals. Among them are more than 500 species of flowering plants - daisies, poppies (including unique blue poppy), marigold, orchids, anemones and many others. Endless rolling hilltops covered in rainbow-hued blooms look particularly impressive at the rim of the seven mountain peaks. From July to September, the wildflower fields bloom with a floral carpet and the weather contributes to a comfortable journey. Since the 18th century the Damascus rose has been grown between two mountains near the town of Kazanlak. The first sprouts were brought here from Syria, even not assuming that the flower would be so well accustomed, and eventually even become a symbol of Bulgaria. The special climatic conditions of the valley contributes to the accumulation of a record amount of flavour in the petals. This not only gives you the opportunity to admire the Valley of Roses for a whole month, but also makes the plantation a source of raw material for the production of the world best essential oils. You can admire these colourful blooms from late May to late June. For more rose fun, come during the annual rose festival which is held every year on 25 May. Festive speeches, processions, culinary delights and the Queen of Rose contest, are unchanging attributes of this feast. 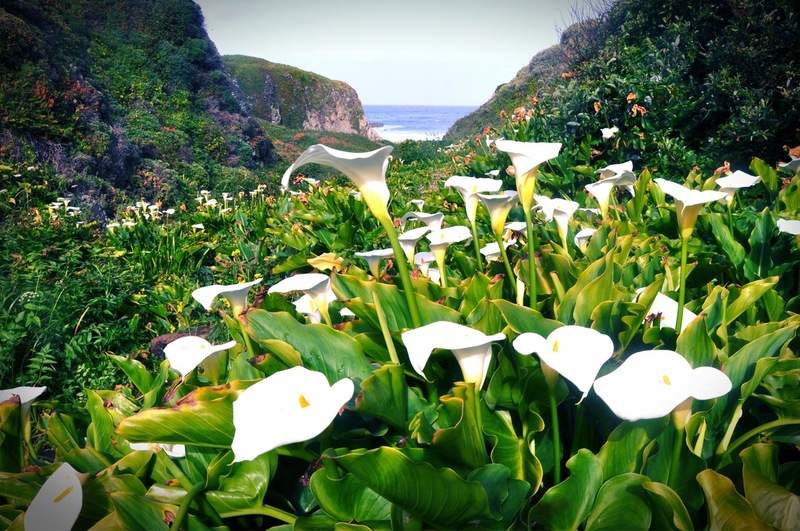 Few people can remain indifferent to the combination of foaming waves of the Pacific Ocean and large white flowers of Calla lilies brightening up the valley from the coast to the forest with unmatched beauty, at the background of no less impressive huge redwoods. For the convenience of travellers there were built a lot of bridges and paths to follow in order not to break the route. The reason is that Calla lilies hide poison ivy, nettles and deep ravines. 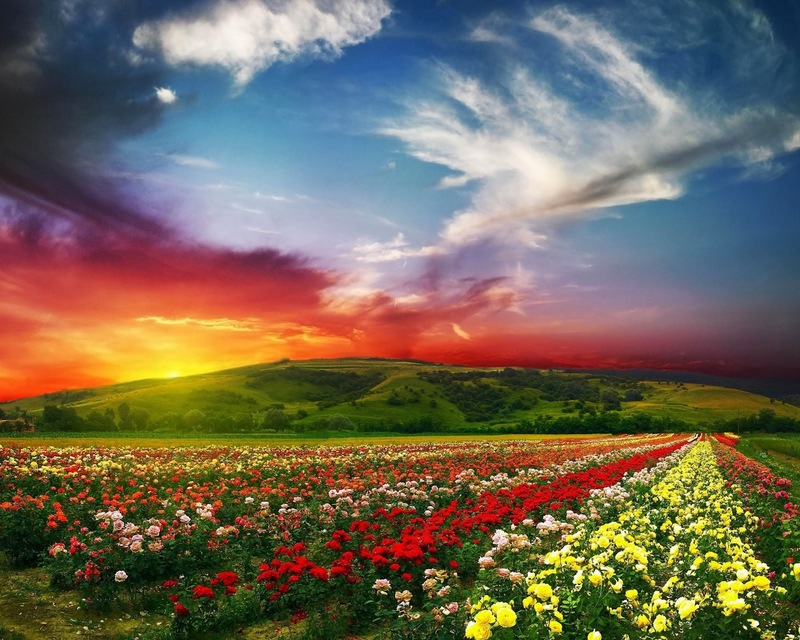 Thus, nature itself protects the flowers from intruders, leaving us humans the opportunity to contemplate and enjoy a floral Wonderland from a distance. Peak of flowering is in March, if you go on a tour to the Big Sur area you are in for a real treat. Also know as the Antelope Valley. Since 1971, the grasslands of California's Mojave Desert was officially declared as a reserve. The flowers are not watered and cultivated there, and grow as destined by nature. Needless to say, it is strictly prohibited to pick them up. Visitors have 11 km of hiking trails across the gently rolling hills to enjoy, the routs shall be strictly followed. But they are so well designed that enable both to see the overall plans from high hills, and to have close look at some red flowers. 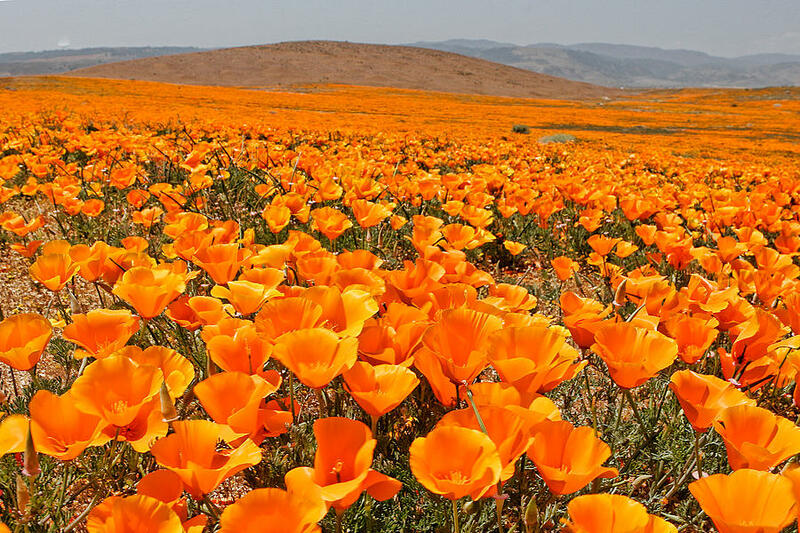 By the way, in addition to the poppies, clover, coreopsis and lupine can be found in the Antelope Valley. It is difficult to find a right time to visit blooming poppies, blossom lasts only a few days in the period from April to May. But if you can catch the magic, show will be remembered for a lifetime. Hundreds of square kilometres of fields in France every summer get covered with delicate purple flowers of fragrant lavender. These are the three northern regions of Provence - Haute-Vaucluse, Provencal Drôme and Alpes de Haute Provence. Everything here breathes with harmony and peace. Even flowerbeds of farmhouses are planted with lilac bushes match the famous fields. If there is no time or opportunity to go on tourist routes, you can just go to town of Valensole. 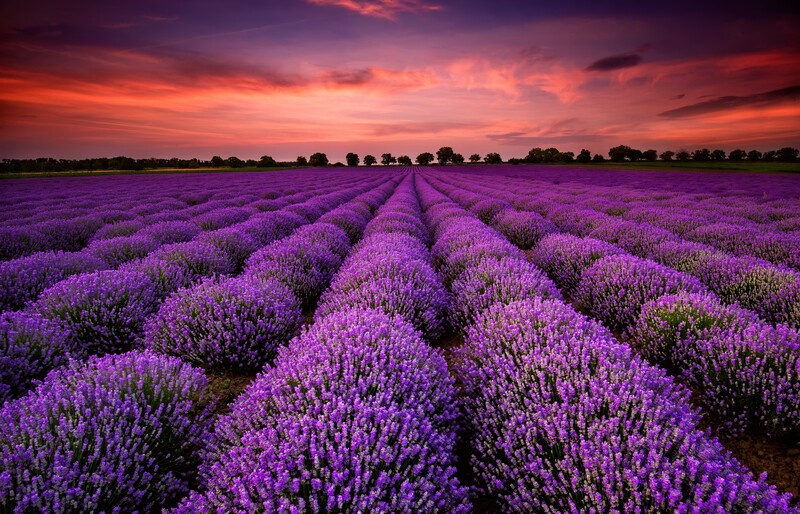 It is literally drowning in lavender and gives an idea of the region. Do not forget to buy natural beauty products of local manufacture, there they are always fresh and quality. Experienced travellers also recommend to beware numerous wasps and be careful while walking. Guaranteed bloom time is from mid-July to mid-August. If the spring is warm, purple blooms exhale luscious fragrance earlier. 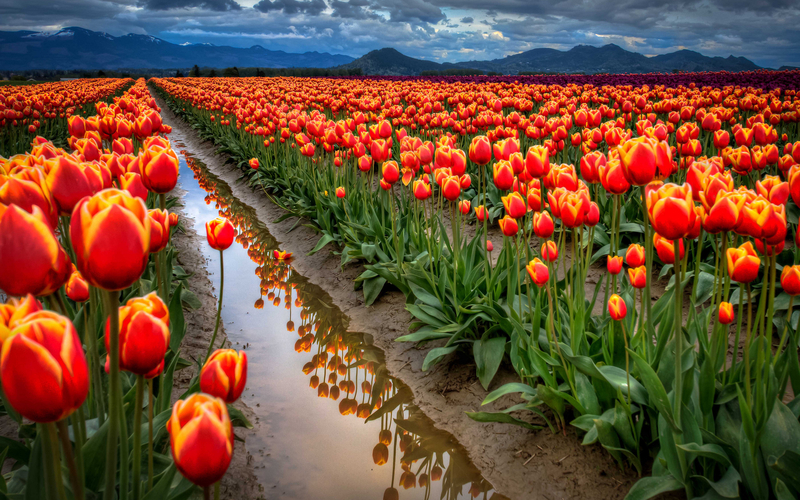 The Netherlands not only has the status of one of the largest exporters of flowers, but also attracts tourists as iconic flower-filled destination. First of all we are talking about tulips. Multi-coloured tulip plantations extending out along the coast of Katwijk to Den Helder. There are also areas of the Kop van Noord-Holland and Bollenstrik situated less than an hour trip from Amsterdam. An excursion can take from few hours to a few days, since the fields are stretched for long kilometres and mixed with other attractions of the Netherlands. Tulips bloom from late March until about mid-May. 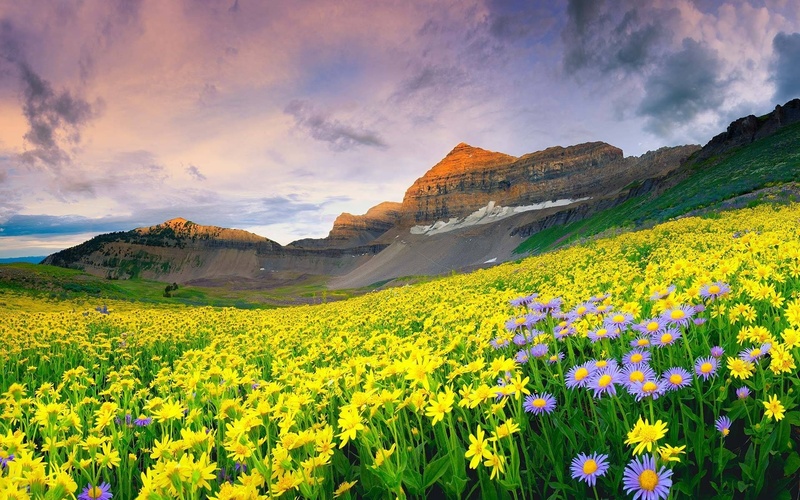 However, the best time for a flower trip is mid-April. This month you can see the largest number of different varieties and subspecies. Iguazu Falls - Niagara Has Room for Improvement! 5 tons of water fall off into the ravine every single moment, roaring, raising steam and disseminating spatter in all directions. ‘Liquid wall’ of Iguazu Falls extends its crescent on the border of Argentina, Brazil and Paraguay.